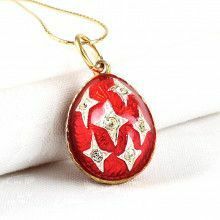 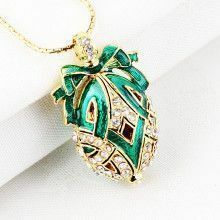 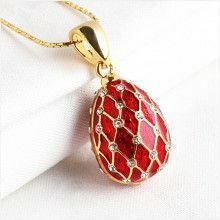 This Faberge style egg pendant-charm is adorned by shimmering enamel and Austrian crystals. 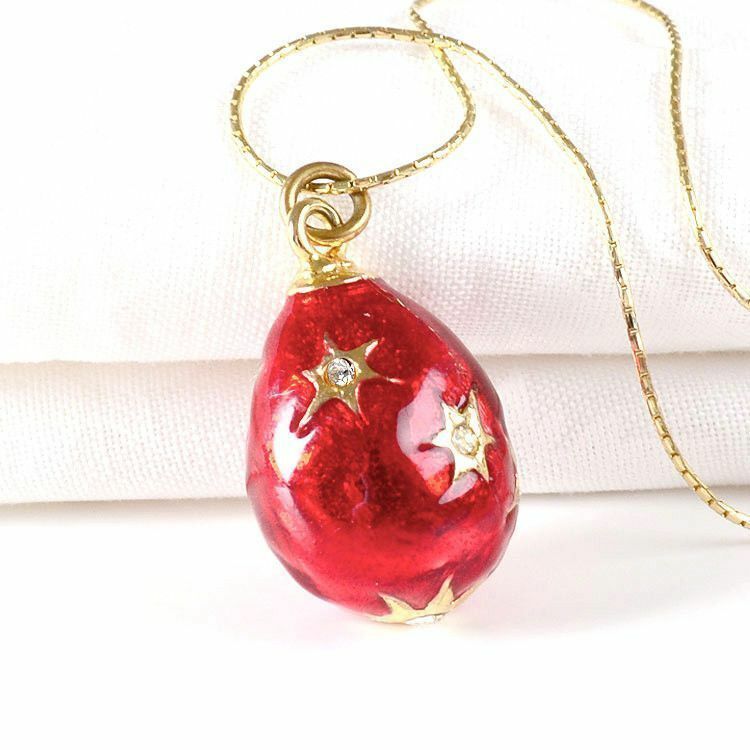 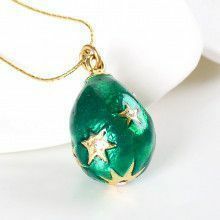 hand-crafted and hand-enameled with star shapes, the egg is a symbol of life, rebirth to the new life, and love. 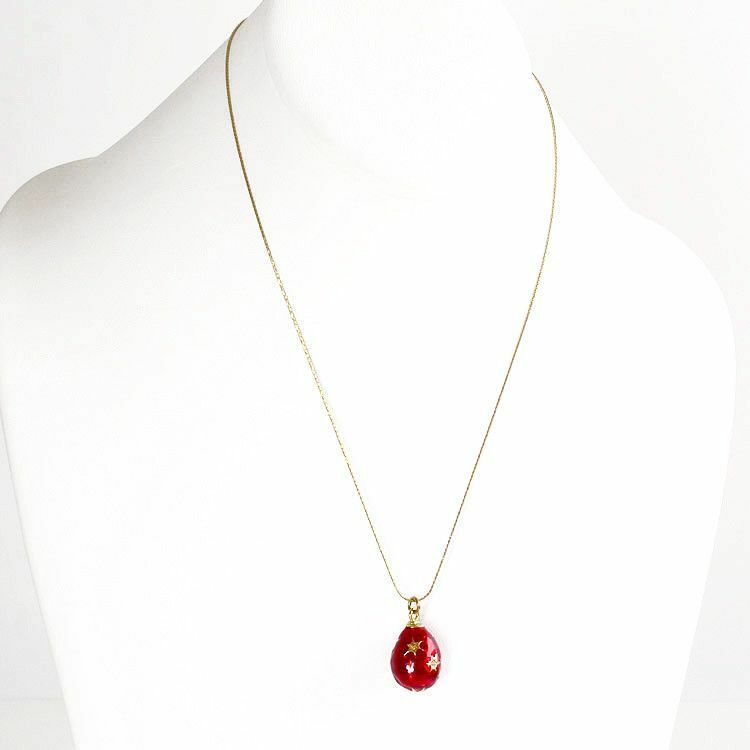 Measures Approximately 1" x 1/2"